Must Have of the Day: Shine on with DIOR! Looking for a simple way to add something unique to your children's clothing, do it with metallics. One of the first fashion houses who has showcased a collection laden with this fashion trend was Roberto Cavalli and his ultra-modern Roberto Cavalli children's fashion. His little models quite literally dropped in holographic synthetics and the feel was sort of futuristic punk. 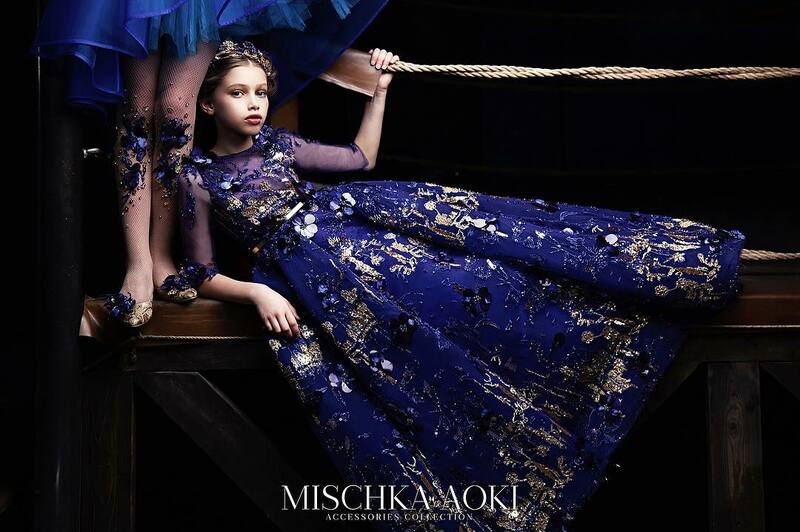 And now, the french heavy-weight house DIOR presented the new Fall-Winter 2016 collection of children's fashion which celebrated metallic colour and high-sheen fabrications. The New season of Dior will be buzzing with much dancing and a lot of music! Silver Dior jacket with a star pattern for girls quilted with padding in a horizontal pattern. The finely knitted wool sleeves zip off to form a vest. 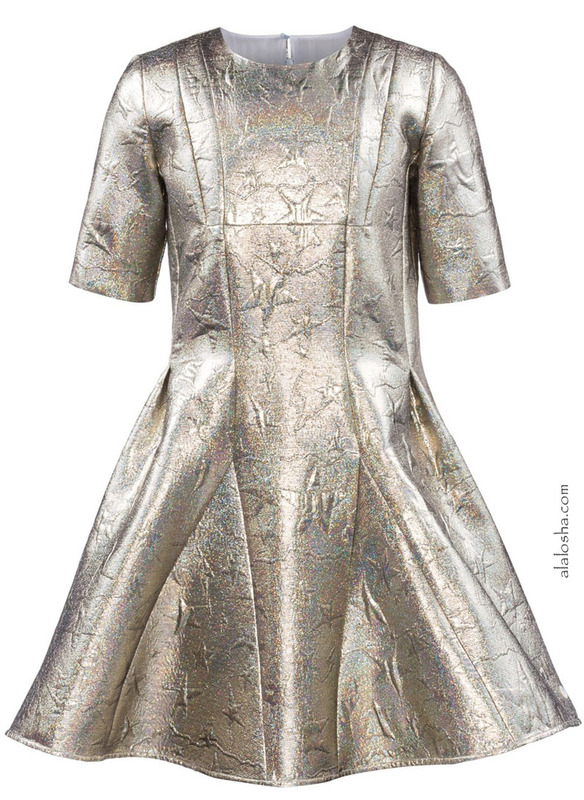 Golden Dior dress for girls made from a shimmering holographic rainbow glitters material with an all over dimensional star design. 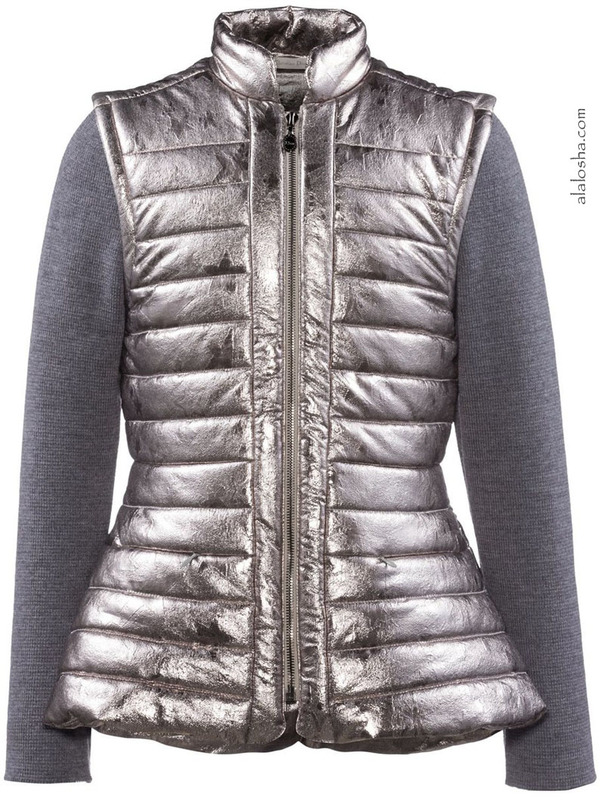 The back closes with a full-length hidden zipper and button. 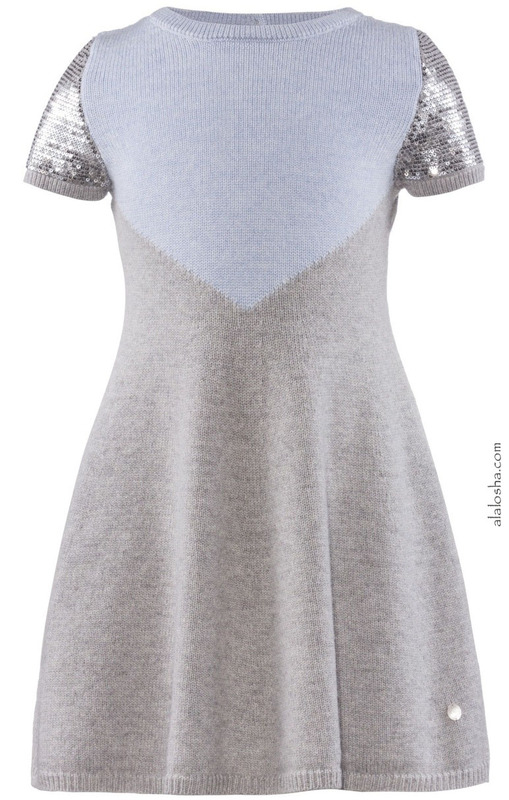 Light blue and gray Dior knitted dress for girls featuring short sleeves embellished with silver sequins. The rounded neckline, cuffs, and hemline are ribbed. 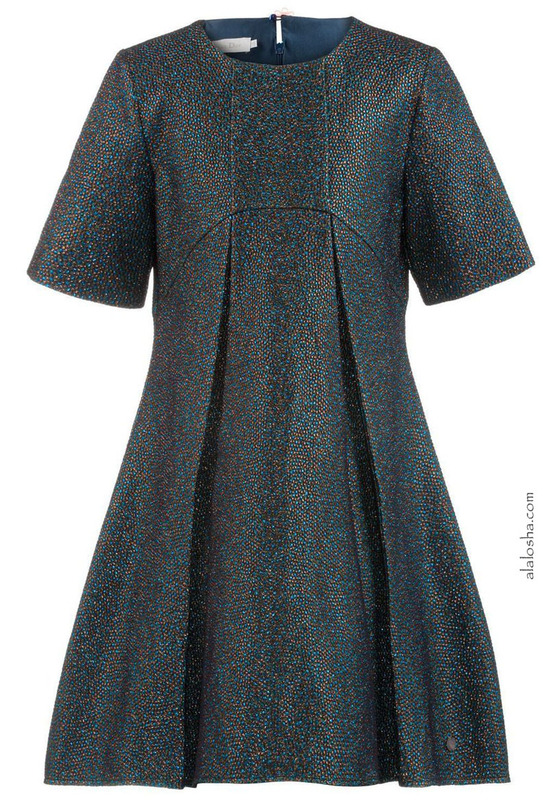 Multicolor Dior dress with a green background accented with blue and copper nodules that are made with shimmering threads. 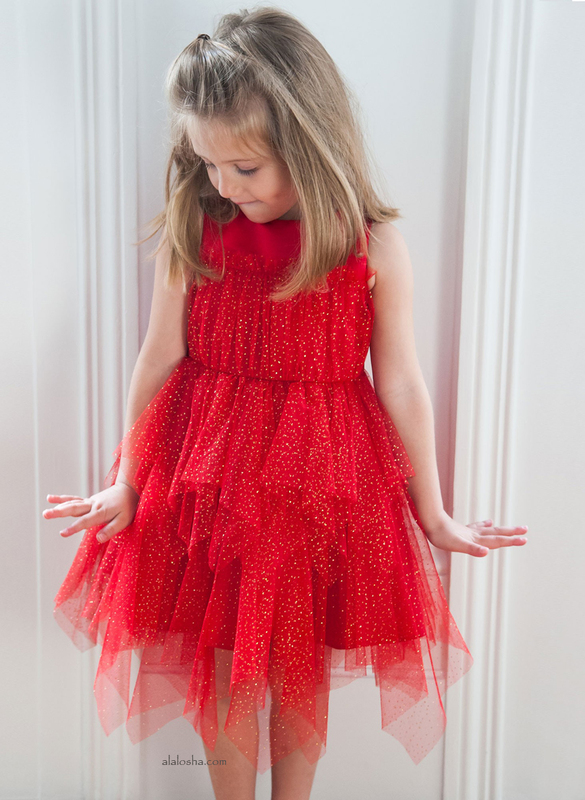 This A-line form girls dress with half-long sleeves comes completely lined and features unique pleats in the front and back.